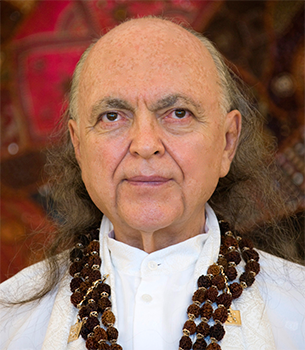 In this concluding essay, Avatar Adi Da Offers to all His Gift of the direct Revelation of Truth Itself. 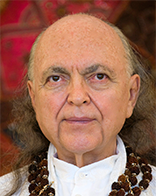 What I Bring to here Is the Divine Avataric Self-Revelation of Reality Itself. What I Bring to here Is the Absolute Divine Itself, Self-Revealed. What I Bring to here is not mythology. What I Bring to here is not “religion”. What I Bring to here is not anything that human beings already “know”. What I Bring to here is not a path or a search that is already evident in the history of the Great Tradition of humankind. What I Bring to here has never been offered before, never heard of before, never practiced before. This Divine Avataric Self-Revelation of the Obvious can only be Given As a Gift—because, by seeking the Truth, humankind only wanders from It. Therefore—now, and forever hereafter—What I Offer you is simply My Divine Avataric Company. Whether or not you are in proximity to My physical human Body, The Offering of My Divine Avataric Company is extended to you in every moment. I Offer Only The Direct Self-Revelation of Reality Itself. No “answers” that could be given to your “questions”—and no “techniques” (or ego-based seeking-“methods”, or “prescriptions for remedy”) that could be given to you to practice—are relevant to Reality-Realization. The Realization of The Truth of Reality Itself cannot be “caused”—but “It” can (and, indeed, must) Be Given. My Offering is here for all. Accept My "Bright" Gift of Perfectly egoless Conscious Light and Of Divine Transcendental Spiritual Love-Bliss.